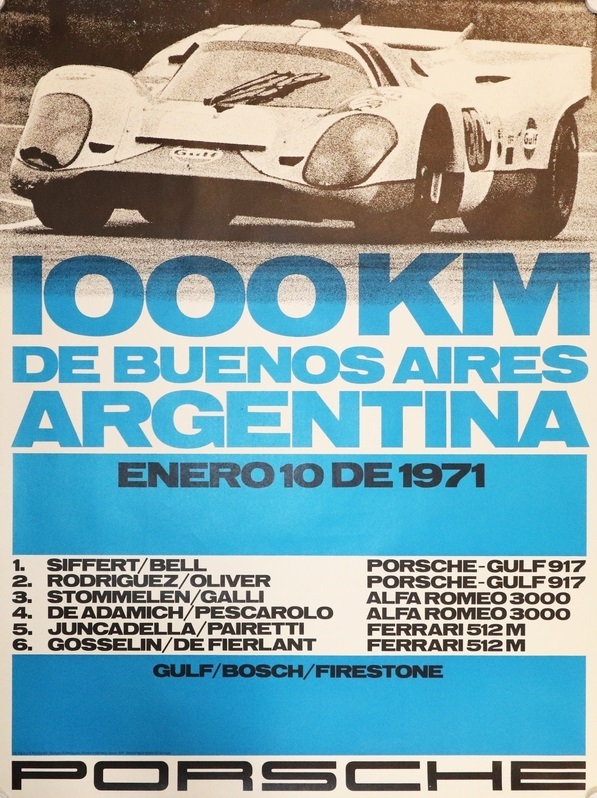 1971 Porsche Factory 1000KM de Buenos Aires Argentina poster. 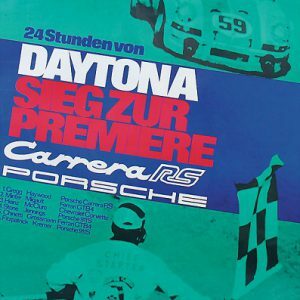 The artwork by Strenger shows the winning Gulf Porsche 917K driven by Jo Siffert and Derek Bell. 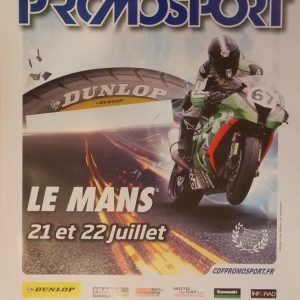 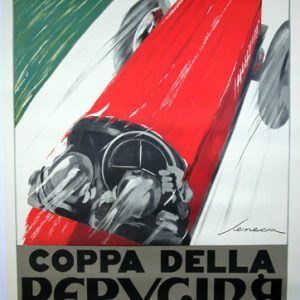 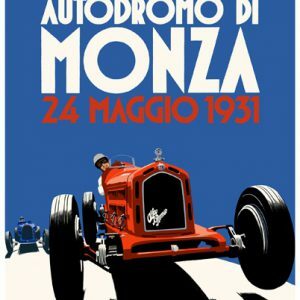 This 917 themed poster is in very good condition and measures a large 30×40″.